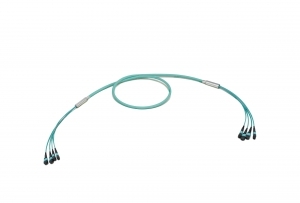 MTP patch cables with thin flexible cable and multi-fiber MTP® connector provide ideal solution for cross-connection patching within DataCenter network. 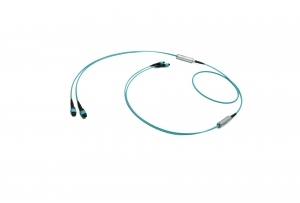 Round thin 3.0mm cable optimise the DataCenter airflow and reduces the cable bulk of installation. MTP Trunks provides the backbone DataCenter cabling. Female version ot MTP connectors are used mainly for direct interconnection of MTP to LC modules or MTP to LC(SC) fanouts. 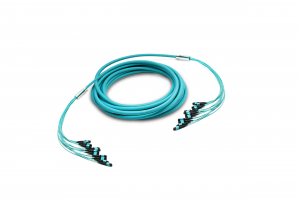 Double jacket 12-fiber MTP trunk cables are used in the DataCenters application where additional protection of the cable jacket is needed. Outer diameter of cable 4.5mm is still quite small, on the other hand offers double protection of the fibers. 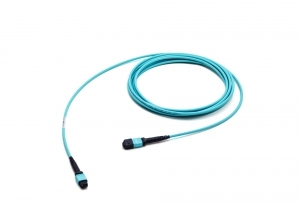 2xMTP to 2xMTP multi-trunk cable combines the need for thin and very small space consuming cable and need for high bandwidth parallel connection. Only 3.8mm cable containing 24-fibers offers portable and compact cabling creating 2x40G parallel interconnection. 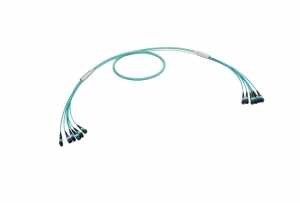 48-fiber multi-trunk cable is ideal for the backbone cabling. Offering 4 connectors on each end, this multi-trunk cable is ideal for direct interconnection of 1U P&P patchpanel, equipped with 4 MTP to LC Plug and Play modules. Cable with central strength member offers possibility of puling the cable over the installation. Backbone solution for high-bandwidth requirements. 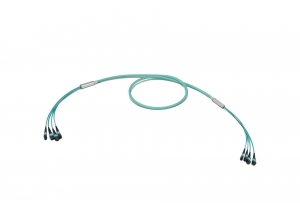 MicroBundle cable with center FRP element is ruggedized enough to withstand the pulling through the installation and is also ideal for horizontal deployment. 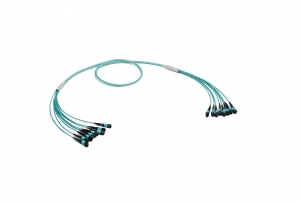 12x12 MTP trunk cable offers the highest bandwidth interconnection available with cable with diameter less then 9mm. Reducing the cable bulk, containing center FRP element and optimises the DataCenter airflow this is the best option for rapid-to-deploy backbone cabling. 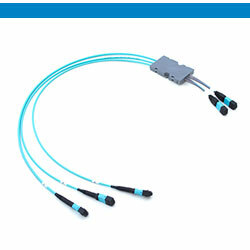 MTP patch cables with thin flexible 24-fiber cable and multi-fiber MTP® 24-fiber connector provide ideal solution for cross-connection patching within DataCenter network. 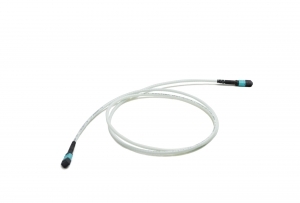 Round thin 3.8mm cable optimise the DataCenter airflow and reduces the cable bulk of installation. 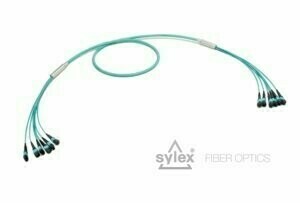 Ruggedized version of trunk cable for 100G transmission. Female MTP connectors are used mainly for direct interconnection of Plug and Play MTP to LC modules. Combining the compact, still quite thin round cable and high-bandwidth 24-fiber MTP connector makes this trunk cable ideal for rack-to-rack DataCentre interconnection cabling. 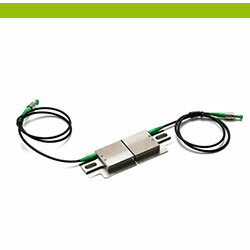 2 optical 100G paths in one cable - this is the advantage of this item. In combination with Plug and Play modules offers rapid deployment and high bandwidth cabling. Optimising the DataCenter airflow and reducing the cable bulk at same time - this is the basic characteristic of this item. Duralino fanout used as a furcation point offers the possibility of fixing the cable and also optional pulling system. "4 port" cable for direct interconnection of two 1U Plug and Play patchpanels with highest possible capacity. Duralino fanout offers transition point for splitting the MicroBundles into individual MTP connectors. 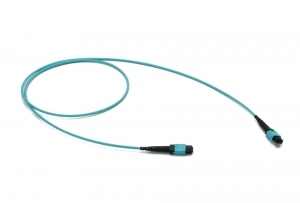 Offering high density of optical fibers, but also small footprint of the adapters/connectors in only 9mm cable diameter. 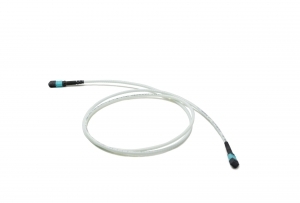 Rapid installation, high bandwidth and easy deployment of the backbone cabling - advantage in every aspect. 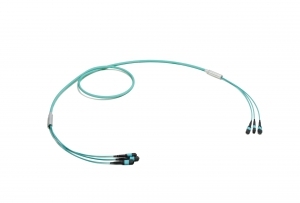 Designed for the application, where additional protection of the fiber is a must. Ruggedized corrugated Miniflex tube withstand any possible damage of the fiber during the installation - thanks to it's robustness this trunk doesn't need additional protection by conduit. 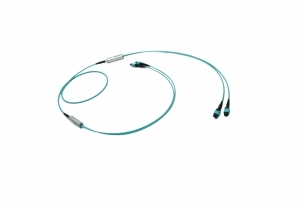 Designed for the application, where additional protection of the fiber is a must. Ruggedized corrugated Miniflex tube withstand any possible damage of the fiber during the installation - thanks to it's robustness this trunk doesn't need additional protection by conduit. Very comfortable and ruggedizes solution for 100G transmission. 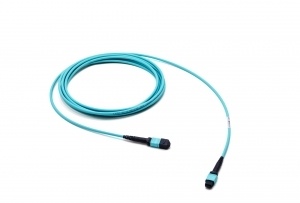 Protecting the fiber on it's route from one active device to another - Miniflex trunk cable ensures that even a non-professional treatment of the trunk cable will not jeopardize the interconnection.